A universal roadside repair kit from Venhill. 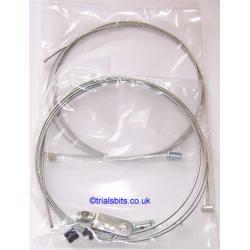 Contains lots of solderless fixings to get you going again if you have a broken cable. Seperate packs for throttle and clutch-brake, supplied in a black nylon pull top bag, so it can be safely stowed somewhere on your bike.